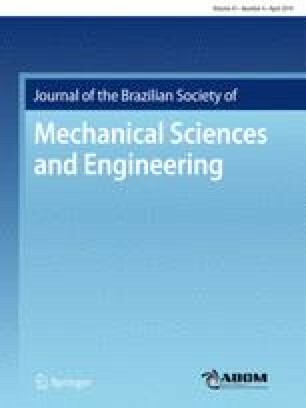 The current study deals with the replacement of existing sintered bronze brake pad using hybrid composite brake pads for armour vehicle application. In the present work, fused mullite was added in three different weight percentages which was compensated by synthetic barites. The pads were produced by conventional manufacturing procedure. The physical and mechanical properties were measured as per industrial standards. The tribological performance was evaluated using Chase test following IS2742 Part-4 standards. The test results showed that 3 wt% of mullite abrasive in hybrid brake pad formulation produced reduced density, less squeal, less frictional undulations with the minimum wear of 0.887 g for 100 brake applications. Worn surface characteristics were analysed using scanning electron microscopy. The ​original ​version ​of ​this ​article ​was ​revised: Figure 7 has been wrongly over written with figure 8. Now, it has been corrected. Authors sincerely thank Mr. Habib Rahamathullah, Fricmart, New Delhi, for extending the testing facilities. Authors would like to record their gratitude to Mr. Venkataswamy, M.D. of Pyramid Precision Engineering, Chennai, for guiding us in knowing about technical details of testing, and authors also would like to extend their hearty thanks to Ms. J. Jesintha Princy, Research Scholar, School of Social Science and Languages, VIT, Vellore, for helping us in finding grammatical errors in this research paper.